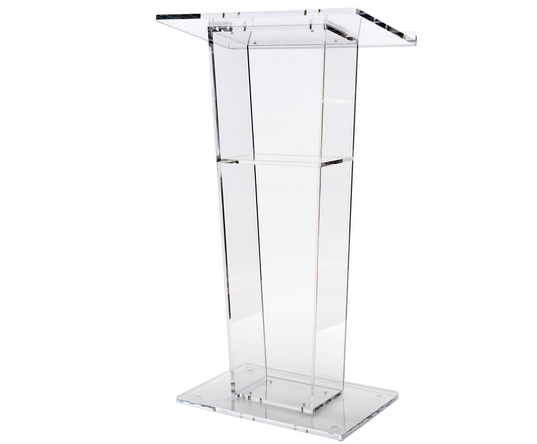 Added to our range of lecterns for the busy exhibiiton and conference season is the new slim based clear perspex lectern, with a unique tapered design with a slim base they provide an elegant look on stage. Our lectern solutions can be custom branded with your company logo or slogan. If your looking for a premium perspex lectern for your event check out our range of Lectern Hire and get in contact with our team at Structured Events.